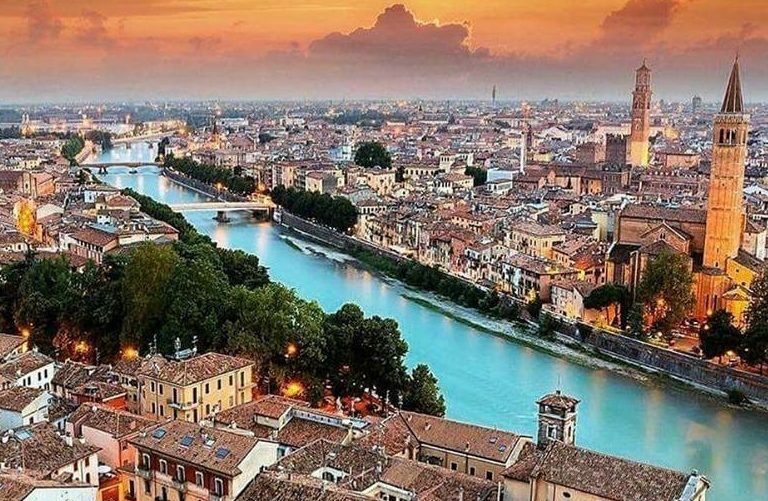 The city of Verona, Italy is known as the hometown of William Shakespeare’s beloved characters, Romeo and Juliet. Now the city is forging a new identity for itself as Italy’s “pro-life city” by showing love to women facing unplanned pregnancies, as well as to their children. On October 4, 2018, in a vote of 21 to six, the town council approved a motion that aimed to make Verona a “city in favor of life“, which includes giving public funds to pro-life groups, and encouraging women to place unplanned babies up for adoption rather than abort them. In Italy, abortion is legal during the first 90 days (three months) of pregnancy. Those behind Motion 434, also known as “an initiative to prevent abortion and promote motherhood”, include Mayor Federico Sboarina and the leade of the centre-left Democratic party, Carla Padovani. They and other supporters also attempted to pass a law making it mandatory to give aborted children a proper burial, but that proposal did not make it to a vote. Councillor Alberto Zelger, who put the motion forward for the 40th anniversay of Italy’s legalization of abortion in 1978, said that “sometimes just a little economic aid or the prospect of a job is enough to give a woman in difficulty the peace of mind needed to look after her child.” The city of Verona will use funds to offer monthly payments to women who choose life, and will promote adoption over abortion. Despite the fact that this proposal does not change the abortion laws in Italy at all, a pro-abortion group called Non Una di Meno (Not One Less) sent members to city hall dressed as “handmaids” in protest of the city’s wishes to help women care for their children and themselves. Italy has one of the lowest abortion rates in the European Union, and the number of abortions in the country has been declining. 70 percent of OB/GYNs in Italy refuse to commit abortions. In addition, Italy’s minister of families, (and former vice-mayor of Verona) Lorenzo Fontana, is unapologetically pro-life, and has said he would work to further reduce the number of abortions in the country by allowing doctors more freedom in discouraging women from having abortions. Motion 434 states that “the life of every person from conception until natural death should be welcomed and protected in all its aspects”, and says that Italy’s abortion law has “contributed to the use of abortion as a mode of contraception”, causing 6 million people to be missing from Italy’s declining population.